Among high-profile Democrats, Governor Jerry Brown of California stands out for his relative benevolence toward the pro-life cause. He has dared to refer to abortion in plain language—“the killing of the unborn”—and has called it “crazy.” He has supported and signed state legislation to protect the employment rights of women who are pregnant or have recently given birth. Democrats should abandon the idea of a pro-abortion-rights “litmus test,” he recently argued, taking sides in a contentious debate among party leaders: He thinks the party should welcome pro-lifers. Only last month, he vetoed a bill that would have constricted the religious-liberty and conscience rights of employers opposed to abortion. Critics will object that Brown has never declared for the pro-life cause loud and clear. They’re right that he hasn’t. If he had, however, he would have stood a good chance of being excommunicated from his party long ago, or of suffering a decline in his stature among his peers, reducing the impact of his advocacy for pro-life ideas. He could have switched parties, you counter—he’s a maverick, after all, and Californians love him for that. Can’t you imagine him getting elected as “a Left conservative,” which is how Norman Mailer once characterized himself? Can’t you imagine Brown as a Republican of, say, the crunchy-conservative school? 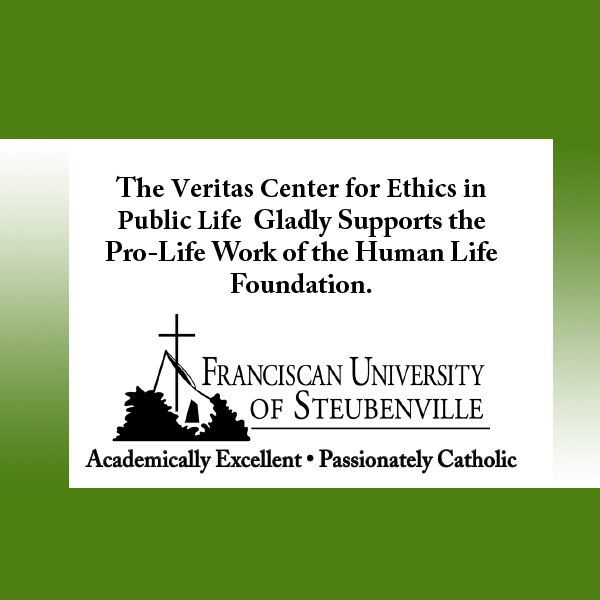 A proponent, across the board—on the economy, the environment, the sanctity of life—of a political philosophy that on the global stage is represented most visibly by Catholic social teaching? I can imagine it. That is not, alas, the road that Jerry Brown decided to travel. He remained a Democrat. In the record of his long career in politics, we can, however, discern the outline of what a better pro-life Democrat might look like. He serves as an imperfect model of that Democrat, at a time when no one any closer to perfection in that role has been willing to give it a try. Prolifers had reason to hope that Moynihan would someday join their ranks—and then to be disappointed in him when he didn’t. He was hardly the only Democrat ever to have betrayed ambivalence in support of his party’s position on abortion. We could condemn him for lacking the courage of his conviction, assuming that he was “personally” pro-life, but we would do better to recognize the ambivalence as an opportunity, an opening to a conversation. It would be destructive, of itself as well as of the nation at large, for the pro-life movement to aim to reduce the United States to a one-party state. It should aspire instead to win the abortion debate by reconfiguring the anti-abortion cause as bipartisan. The bills ensure maternity services are covered by health insurers and new mothers can no longer lose their health insurance as a result of taking maternity leave. October 9, 2011: Governor Brown signs Assembly Bill 592, which reinforces protections that SB 299 (see above) ensures for women during pregnancy and up to four months after childbirth. The questions raised here are not simple; they touch matters that are both personal and philosophical. October 9, 2013: Governor Brown signs Assembly Bill 154, which allows nurses to perform abortions during the first trimester of a woman’s pregnancy. Neither Brown nor his office offered comment. If you’re keeping score, subtract points from the case that Brown is pro-life-friendly. October 9, 2015: Governor Brown signs Assembly Bill 775, the Reproductive Fact Act, which requires even pro-life pregnancy centers to inform clients how they can obtain low-cost or free abortion, in addition to contraception and prenatal care. Neither Brown nor his office ever commented, at least to my knowledge. Legal challenges to the law quickly ensued, and on Monday the Supreme Court accepted to hear a case against it. On the abortion issue, it wasn’t very long ago that a number of Catholic Democrats were opposed to abortion. So the fact that somebody believes today what most people believed 50 years ago should not be the basis for their exclusion. . . .
America is not one place. Alabama is not San Francisco or California. To come together, as a great Jesuit once said, everything that rises converges. So we have to rise above some of our most cherished ideological inclinations and find a common basis. And the economy has often been that common basis, or security in the world could be a part of that common basis. But you can’t let these hot-button issues that work great in particular congressional districts, one way or the other, to be the guiding light for a national party that covers a very wide spectrum of belief. . . . The litmus test should be intelligence—caring about, as Harry Truman or Roosevelt used to call it, the common man. We’re not going to get everybody on board. And I’m sorry, but running in San Francisco is not like running in Tulare County or Modoc, California, much less Mobile, Alabama. October 15, 2017: Governor Brown vetoes Assembly 569, which would have prohibited an employer from firing a worker whose “reproductive health decisions” conflicted with the aims or principles, for example, of a Catholic school or hospital or of a crisis-pregnancy center. The “ministerial exception” stipulated in the bill was narrow and would have constricted the religious-liberty and conscience rights of organizations opposed to abortion either explicitly or in principle. In his brief letter to the Assembly, Brown explains that the worker protections that the bill’s sponsors sought to establish are already ensured under existing law, whose exception for religious institutions he notes. Connect the dots. Brown’s record on abortion is mixed. Be grateful for the good he has said and done. Keep in mind the wise counsel whose most visible proponent in the pro-life movement has been the National Right to Life Committee: Hold on to your ideals, but do not dismiss the proximate good that, while it falls short of them, approaches them nonetheless. 416 people have visited this page. 1 have visited this page today.